XXIII. So where to next? 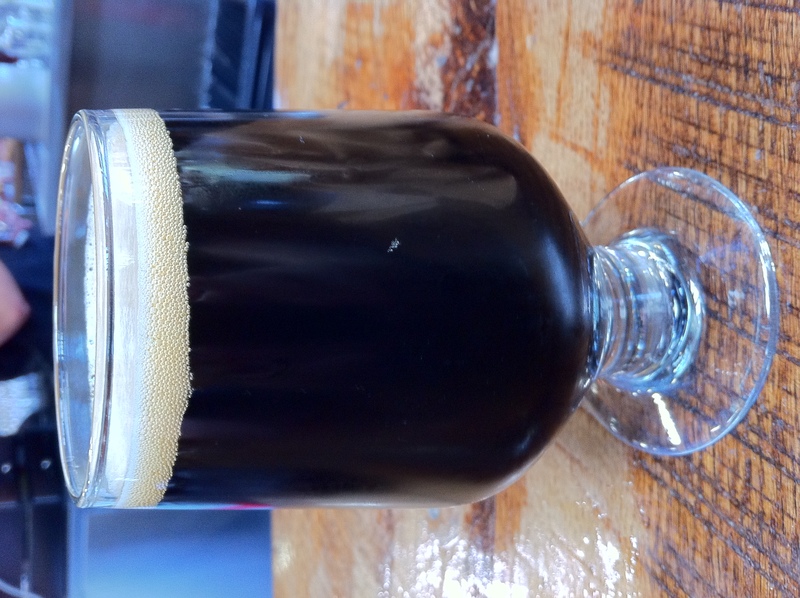 What’s 2011’s rich, imperial take on Black Butte Porter? Just for kicks, you dream. Orange zest perhaps? From Spanish Oranges. Seville, to be exact. And Chocolate nibs. Pampered nibs from the artisanal alchemists at Theo. Maybe some chilies? Pasilla Negra only, please. That would be crazy wouldn’t it? Welcome to crazy. Get it while you can. 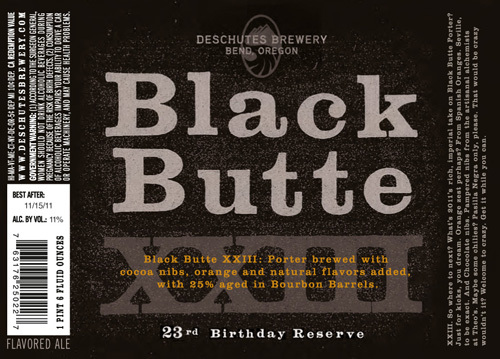 This beer lived up to its name and poured an aphotic black color. A very bubbly cream colored head sits atop the glass for quite a bit. Lacing is fairly light, but there are splashes of it around the glass. Baker’s chocolate and whiskey dominate the nose of this beer. And when I say dominate, I mean dominate. Hints of graham cracker, butter, and rum were also picked up. This is a boozy smelling beer. The baker’s chocolate and whiskey come back big in the flavor. The combination is quite well balanced, with neither flavor is allowed too much control. Faint malts and graham cracker appear toward the end to cut down on the alcohol. Mouthfeel is medium to thick. The beer itself is not that viscous, but closer to a Dry Irish Stout in that it has that same drying quality. This beer is very straight forward. It smells like baker’s chocolate and whiskey and it tastes like baker’s chocolate and whiskey. Everything else is just there to keep those two flavors in check. That being said, there’s just not enough dynamics in this beer. It is very “what it is”, but it is well put together. I enjoyed the glass, but I couldn’t drink more than one.